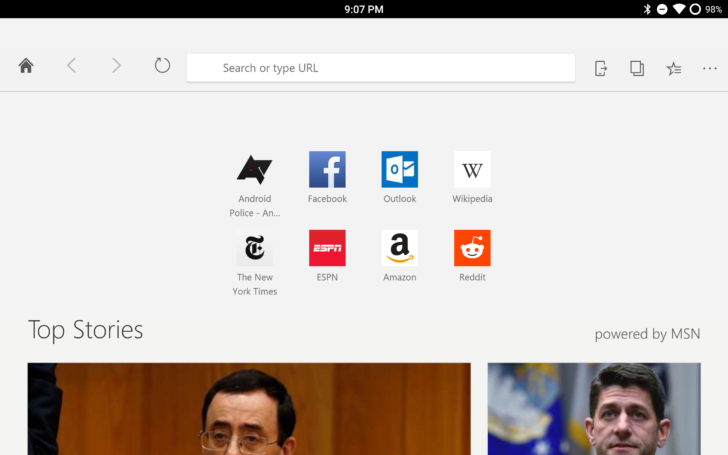 Starting today, Edge is now available on Android tablets and iPads. 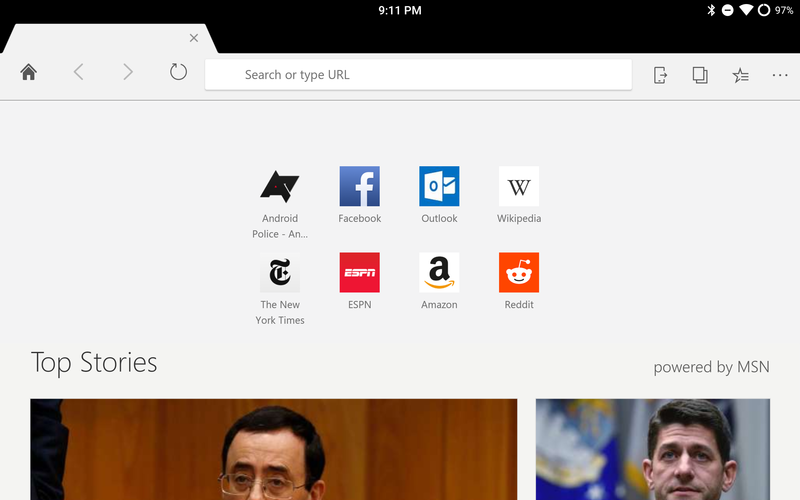 While the iPad version looks almost identical to the Windows 10 browser, the Android app looks much more like Chrome, especially with the slanted tabs. Perhaps Microsoft borrowed some Chromium code and forgot to re-skin it. That's fine, I didn't need the tab bar anyways. The performance on my Galaxy Tab S 8.4 seemed roughly equal to Chrome, but the app itself is a bit buggy. The tab bar kept vanishing for no apparent reason, and the button to show all tabs does nothing. Your mileage may vary though, since I'm using a custom ROM.